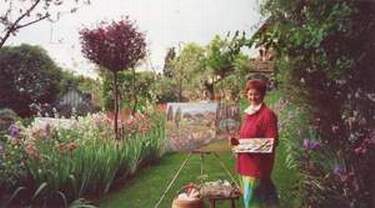 Françoise VALENTI was born in 1946 in the Aveyron Region of S.W. France. 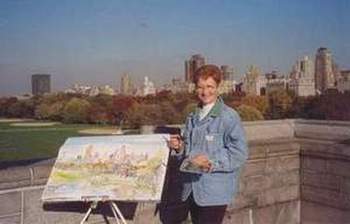 It seems she inherited her painting passion from her grandfather who was a skilled amateur and who was also very fond of working in the "great outdoors ". When she was 11 years of age she captured the attention of her drawing teacher. Her mother further encouraged Françoise in her development as an Artist by providing private art and modelling lessons up until the age of 18. 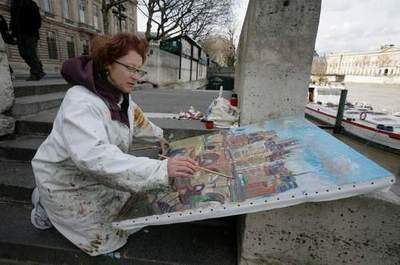 Following that, she attended Montpellier University, studing Art History. 2003. Françoise VALENTI in Simiane-la-Rotonde Alpes de Haute Provence. 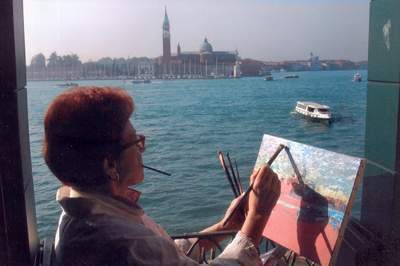 Her appetite for travelling has taken her to Italy, where she has done much painting, as well as to the Middle East, West Africa, China, Australia, Egypt and India. 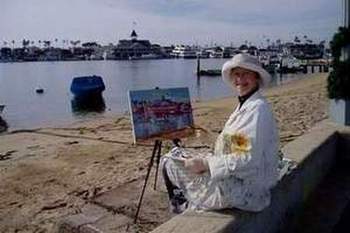 She has also visited the United States of America almost every year where she has many clients. Françoise divides her time between Paris and Provence. 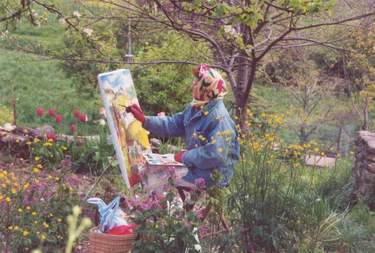 After exhibiting at Rodez, Sarlat, Grasse, Paris, Helsingborg, Stockholm, London, Berlin, Kobe, and San Francisco, she opened her own gallery in Roussillon in the department of the Vaucluse. The countryside in Provence, with its olive groves, sunflowers, lavender and poppies and its old farmhouses and hilltop villages, is a constant source of inspiration. Her works can be found in numerous private collections in France, as well as , Australia, Austria, Bahrein, Belgium, Canada, China, Denmark, Germany, Spain, The U.S.A., Finland, Great Britain, Holland, Hungary, Italie, Irland, Japon, Luxembourg, Monaco, Namibia, Norway, New-Zealand, Portugal, Rumania, Russia, South Africa, Sweden, Switzerland and Taïwan.